"I chose to kill this young man because he looked happy. And I couldn't stand his happiness." 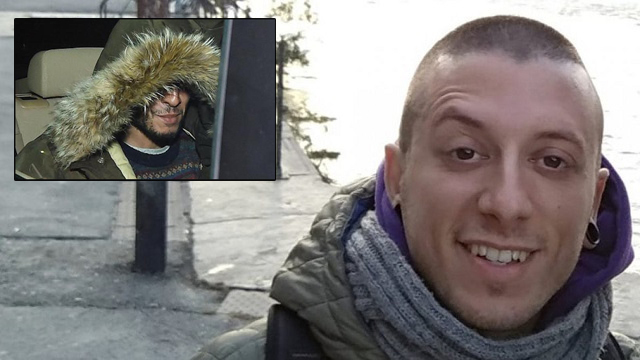 A Moroccan migrant has admitted to murdering Italian man Stefano Leo [pictured above], claiming that he wanted to kill someone "young, white and Italian." "I hit a white, based on the obvious fact that a young Italian would have caused a sensation," he allegedly told police. "I looked at him and I was sure he was Italian. I wanted to kill a guy like me, take away all the promises he had, children, remove him from his friends and relatives," Mechaout said. The Moroccan-born young man then described the attack to police saying, "I sat on a bench. I smoked a couple of cigarettes. People were passing by. I chose that place because you can run away immediately." He added that he had been looking for someone "happy" to kill when Stefano Leo passed by him wearing headphones and sunglasses. As Leo walked up the stairs to the street, Mechaout stabbed him in the throat. "Among all the people who were passing, I chose to kill this young man because he looked happy. And I couldn't stand his happiness," Mechaout said according to Voice of Europe, citing state prosecutors. In March, an African migrant set fire to a bus full of Italian school children after releasing a video on YouTube calling for Africans to "rise up" and punish Europe for it's "unacceptable politics."